Disney News and Interviews From The Mouse Castle: 'The Mouse Castle Lounge' Podcast Premieres: Happy Hour Has Begun! 'The Mouse Castle Lounge' Podcast Premieres: Happy Hour Has Begun! Well, I went and did it. In the early morning hours I officially opened the doors to The Mouse Castle Lounge, my new Disney podcast. In this premiere episode, you'll hear John C. Reilly and Sarah Silverman talk about Wreck-It Ralph, Disney executive vice president Leslie Ferraro talk about 2013's "Limited Time Magic" at Disneyland and Walt Disney World, and historian/author Jeff Kurtti talk about his fascinating career in and around the world of Disney. You'll also hear me talk. A lot. My guests sound great, but I could use a little polish. I know this. With your help, I'll get better, I promise. I want The Mouse Castle Lounge to be a place where friends hang out, have a drink (non-alcoholic or otherwise--we don't judge) and talk about all things Disney. I realize that's a pretty tall order when you look at the size of the Disney universe, but that's part of the fun. What news, stories and events can you bring to the party? I want to hear from you. Give this first episode a listen and please let me know what you think. Leave your comments below or send me your thoughts and ideas at podcast@themousecastle.com. We're going to make this the coolest Disney podcast on the Internet. Your unofficial Disney happy hour has begun. 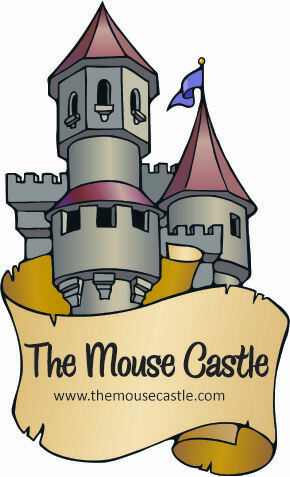 To download The Mouse Castle Lounge for your MP3 device, click here. Update 10/30/12: The Mouse Castle Lounge is now on iTunes! The Mouse Castle Lounge is Almost Open!